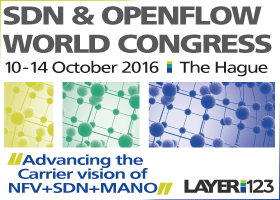 SDN World Congress takes place this year in The Hague from 10th-14th October and Iricent will be there in force. We will be exhibiting (Booth 109) and showcasing our SDN and NFV solutions including our MANO as a Service solution for fast adoption of NFV and a sneak preview of our forthcoming APNOS platform which leverages OpenDaylight in a whole new way for service providers and their customers. Feel free to drop by and say hello or contact us on events@iricent.com to set up a meeting. Follow @Iricent on twitter for updates as we go through the week. Hope to see you in the Hague.